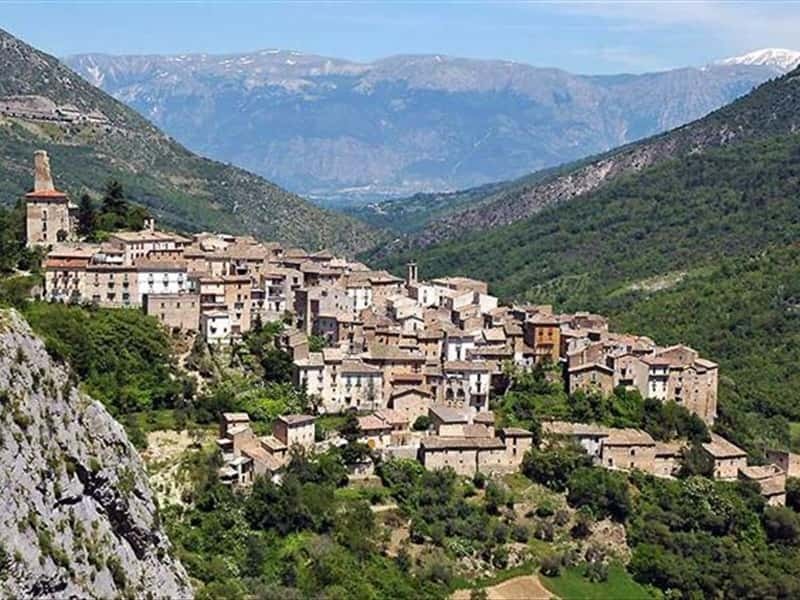 It is a beautiful picturesque village in the province of L'Aquila, located on a large terrace clinging to the mountain's façade, carved by the crossing, over the centuries, of the river Sagittario. The name, according to some theories, derives from the Latin "ad versum" (in front, close to the river with reference to its position in front of the above mentioned river). In 1150 the lands of Anversa and Castrovalva (a current district of Anversa degli Abruzzi) belonged to Count Simon de Sangro. His heir, Raynaldo, lost the domain over the fiefdoms, for having supported the Emperor Frederick II. Only in 1250 the lands returned in possession to the Di Sangro family. Over the next centuries the lands we ceded to the Caldora of Pacentro, to the da Procida, to the Belprato and to the Recupito. - the admirable gorges of the river Sagittario. This town web page has been visited 21,343 times.